Thinking of planning a romantic getaway? There’s no better place for romance than the Berkshires of Massachusetts, and no greater way to surprise your other half than with an amazing romantic vacation to the Yankee Inn in Lenox, Massachusetts. Not sure how to set the scene? Leave that to the experts at the Yankee Inn! Their Fireside Romantic Getaway Package is the perfect answer for whatever your special occasion calls for. In fact, their FireSpa Suites are just the what you need to create the perfect romantic ambiance and take advantage of cuddling in front of an open fire. Perfectly old fashioned wood-burning fireplaces will set the tone for a magnificent evening. Or, if you’re not looking to exert the required effort to keep a wood fire stoked (or you’re reserving that energy for your partner! ), the Yankee Inn also has gas fireplaces on request. While your fire is crackling and the room is lit by candlelight, call the front desk and schedule a massage for the both of you. The masseuse will come to you! If you’re more of an adventurous romantic, you can explore the Berkshires with your beloved. There are so many things to do in Massachusetts, like hiking, biking, shopping, or checking out the many museums the region has to offer, like the Norman Rockwell Museum, which showcases the lifelong work of this American artist. When you arrive at the Yankee Inn, you’ll find a cold bottle of choice wine waiting for you in your room, along with chocolates made by the local chocolatier. For your romantic dinner, you’ll find the best authentic Italian fare at Trattoria II Vesuvio. For dessert, meet the local chocolatier at Chocolate Springs Café. What better way to show your other half just how much you love them! 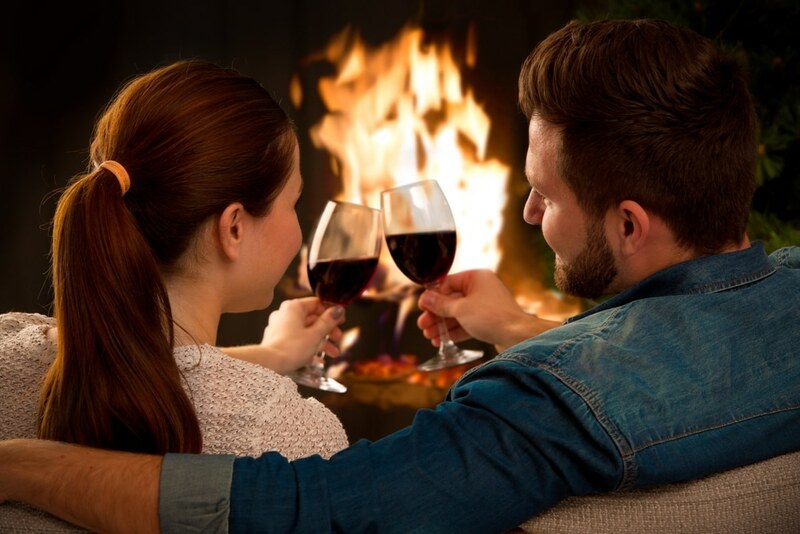 As part of your romantic getaway package of two evenings in your fireplace suite, you’ll find that dinner at Trattoria and dessert at Chocolate Springs is included in the package price. Please call ahead to add your couples massage to your package.